"Have you ever wondered what it's like to go from 0 to 100 m.p.h. and back to 0 in 5 seconds? 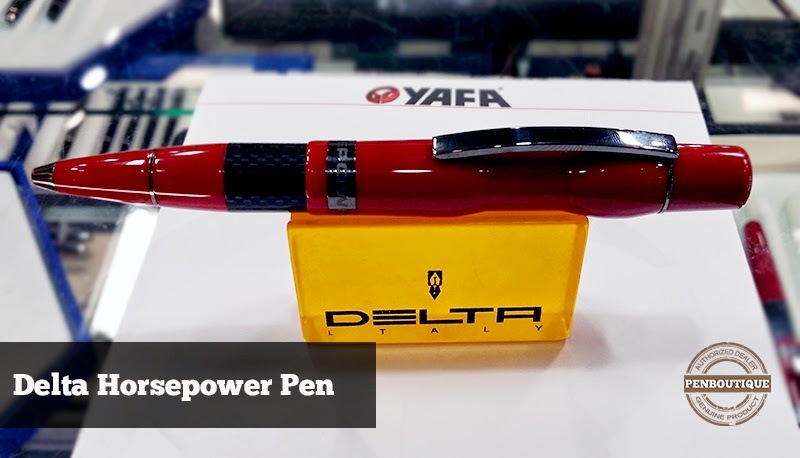 Look no further than the Horsepower from Delta! Very rarely can I simply look at a pen and get a rush of excitement. Maybe it's due to the already known high performance from Delta. Or maybe it's the stylish beauty of Italian resins and the woven carbon fiber. Either way, the Horsepower laps other pens on the paper race track with ease! Come for a test drive today and get a feel of comfort and great balance. It's wonderful balance of elegance and aggressiveness is exactly why I looked no further. "